Mr Graham McLaughlin and other officers from the UK were deployed to the Virgin Islands to assist with Operation Ruman, which was the response to help communities recovering from Hurricane Irma. 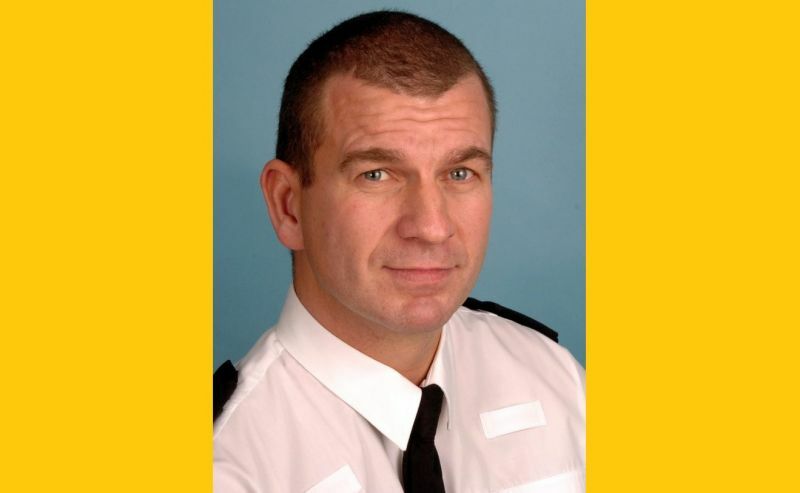 But the Derby Telegraph on December 19, 2017 reported that Chief Superintendent McLaughlin of Derbyshire Police was suspended this month; however, the force has not revealed why. Mr McLaughlin is one of the most senior police officers in Derbyshire and is head of the operational support department at the force, which includes the armed response unit, the roads policing unit, collision investigations, police dogs and the helicopter. While in the VI, his duties included overseeing the uploading of aid, re-building schools and homes and training local police officers. His stint in the Territory was also prolonged due to the visit of Prince Charles (born Charles Phillip Arthur George), according to the Derby Telegraph. Meanwhile, Police Commissioner Michael B. Matthews, who is on leave in the UK, was contacted for a comment. He refuted reports that the RVIPF was seeking to hire Mr McLaughlin. Mr Matthews did say that he was aware of Mr McLaughlin being investigated. 5, 4, 3, 2, 1. Watch the comments that is going to be written by I'm a Tolian now. How convenient, a white suspended police can be sent here to over seas us the citizens without us knowing what he is being investigated for or was sent home for but the locals who have been sent on leave or being investigated has to go on leave! Case in point the officers who were involved in the shooting of the Spanish Man; each has been sent of leave for two weeks whilst the Bermuda police investigates! Why is this? Then if or when we pull the race card others will say we should not!!! The scales should be leveled, if what he did in the UK he does the same thing here in the VI who should we hold responsible ???? Did you read the article? WTF? @Dirty, you dont know the facts but you spitting S#!t. When you know what he was suspended for then you can start spitting s!#t from your mouth.Typical Tortola I dont know anything big mouth. Lets wait until the details about his suspension was about. If it was anything harmful to us, then he will be met with total rejection. We don’t want THEM policing US. They rejected him over there, but he thinks he’s good enough to police us? Hell No. Peter I know u would have denied me three times as fowl crews. My God how u was so impressive with me now u never considered bringing me back to run ur firearms team. WOW that's a pitty u ask me to stay on and run ur operation for the Prince's visit and I was congratulated by u on how I did a splendid job. Now no contract for me. 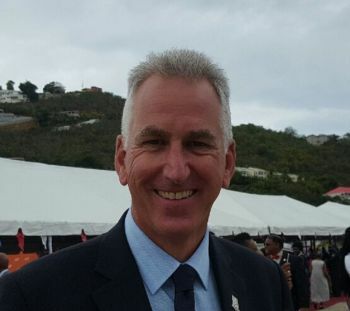 This guy probably would've been the next BVI Commissioner of Police, after it was recognized that he did a great job securing the Prince, he was the impromptu National Security Advisor to His Excellency J Augustus Jaspert. You all don't play like you all didn't know him and had welcome him with open arms. Stop it. I can assure you Derbyshire Police will have sent him to the BVI to get rid of him before this broke...the RVIPF will have had zero input into who was sent from the UK to here after the hurricanes. Read people he was in the BVI post Irma he's was suspended recently after his return to the UK. the police here cant even stop a baby biker ... at least the UK police came to help a country while some of the local police watched the looters . Jyst dont be on a cellphone . We can enforce that . Wait and see what this is all about before crucifying the officer . Of course, he was probably offered the job with the RVIPF. People are only avoiding the issue like the plague because he was suspended. Only BVI hate on and don’t take care of their own. The UK surely look out for their own. They are in a revolving chair around the OTs from Cyprus to Cayman Islands to Turks and Caicos Islands to Anguilla to Montserrat to Falkland Islands to Bermuda to Gibraltar to the VI. Let’s see the Supt of Prison, Commisioner of Police, Auditor General ( forget he ran off to Ascencion), DPP.....etc. Thinking he got suspended after his stint in the BVI. COP Mathews on the ball again! Best COP in years. It seems like Tolians love to gossip. I mean what else is there to do, apart from rebuild your country. Graham, thank you for your service in the BVI. Unlike the bubbleheads, I looked you up a bit and can see that you have done a great job both in the BVI and in Derbyshire, UK. You seem to have a light spirit and a great sense of humor yet take your job very seriously and is professional. Quite serious that someone in such senior position should be suspended, likely something you said or did. Everyone makes mistakes however no one is in a position to judge until the outcome of the investigation. But, for all your hard work and dedication, I thank you. armed, and happy right? and who do you think helps with that?